If you were to reach into your pocket right now, what would you pull out? Probably a wallet or some lint, but more likely than not, you would come out with a cell phone in your hand. In today’s world, it seems like cell phones are becoming more and more popular. Nearly everyone has some sort of cell phone and most have a smartphone. Now, what do people do with their cell phones? Mobile banking, Facebook, etc. No matter what it is that you’re doing on your smartphone, it’s running off an application. Apps are the one thing that is consistent no matter what you’re doing on a smartphone. This being said, making a profitable user-friendly mobile app is not only a good idea short term, but can have some lasting benefits for your company’s future as well. No matter what kind of application you have ideas for, as long as it is well made and runs smoothly, it’s almost guaranteed to be a benefit for your company. If there is one thing that can really give your website or company a boost it is the implementation of a mobile application. A well-designed app can do wonders to increase your company’s brand recognition and boost your website traffic. Creating and launching a business app makes your company easy to access on the go at all times for your customers. By doing this, you are increasing traffic to your company, which encourages e-commerce and sales, in turn adding revenue to your business which moves your bottom line up by a good bit. Another fantastic reason to think about implementing a mobile application is that it makes your company name more recognizable. In today’s world, making sure that your name gets out there is probably the single most important thing that you can do for your business. By making a name for yourself in the online market, it establishes your company’s reputation and reveals your business role as a player in your industry. With internet markets being fickle at times, building a lasting brand name is one of the best ways to invest in your company’s future. With all of these factors considered, there are so many reasons why building a successful app can really help out your business. Especially in today’s world, with the increase in the use of smartphones and mobile devices, apps are becoming more and more important. Introducing a mobile app for your business could make or break your company’s success. The one factor that you need to ensure before launching your app is that it is well-designed and easy to use. It is better to not have an app at all than one that is poorly made and does not run well. 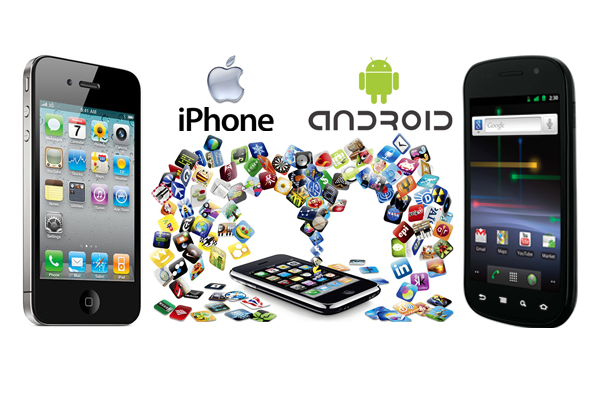 Make the smart choice and hire Smart Website Creations to assist you with your mobile app development.